Having hardwood floors in your home adds instant style. Though it looks incredible, a certain amount of maintenance is required to keep it in optimum condition. To help with this, American Floors, a top wood flooring specialist based in Riverside, RI, has shared their knowledge on the proper way to clean. The first step is to remove the top layer of debris. Loose dirt, dried pieces of mud, hairballs, and dust bunnies should all be swept away using a broom or dust mop. 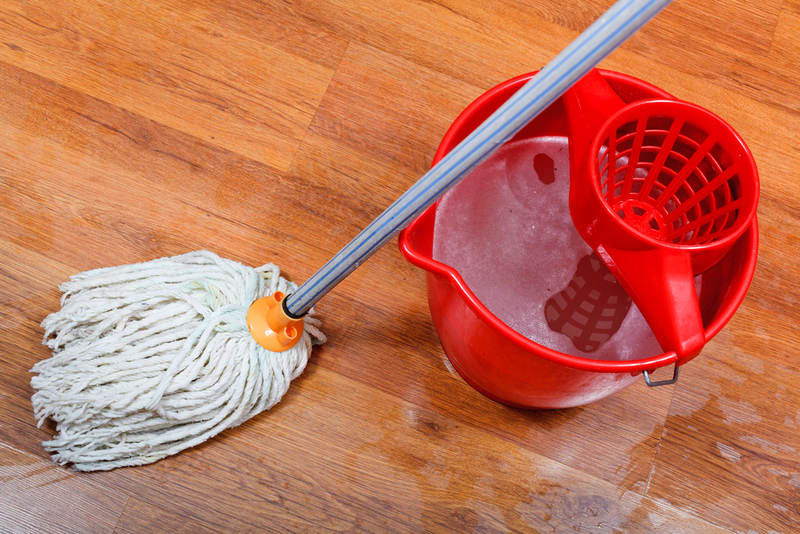 If left behind, the moisture from the mop will cause them to clump and smear across the hardwood floors. Keep them dry and wipe them away gently. Use a tool with a microfiber end that will attract dirt without scratching the surface. Soap and water can be damaging to hardwood floors. Wood is highly susceptible to water damage. Thus, a material-specific cleanser is needed during the mopping process. Avoid products that include oils, such as coconut or olive. These will leave your floors glossy but the residue left behind can actually eat away at the stain over time. Instead, look for a product containing vinegar. While mopping, ensure your tool is not sopping wet. Ring it out enough so it is simply damp. This, too, will prevent damage. While you should not use wood polish for every cleaning session, it is a great way to extend the lifespan of your hardwood flooring. This should be done after sweeping, mopping, and allowing the floors to dry. You can use polish several times per year. However, aim for at least once to protect the shine of your floors. Use an applicator pad or a high-density foam roller to apply the product gently. Clean your hardwood floors using this technique for the best results. If looking for more professional help, call American Floors. Located in Riverside, RI, they are a family-owned business of highly trained individuals. With over 40 years of experience, they can take on a variety of jobs from floor installation to floor repairs. For more information, visit their website or call (401) 433-0530 today. What is Hardwood Floor Screening?